Hi, I’m Alfred! Set in the heart of the lively and dynamic neighbourhood of Bloomsbury, 33 Alfred Place offers great, cost-effective space for corporates and creatives alike. 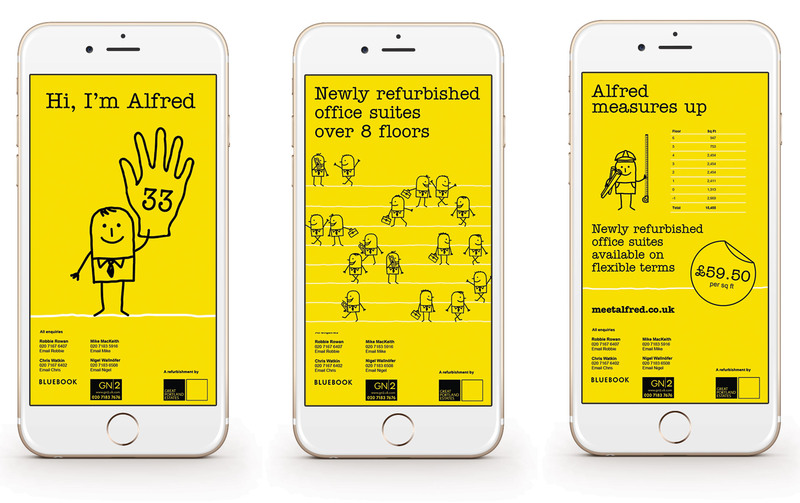 With this in mind, Sears Davies created a fun, eye-catching marketing campaign that really helped ‘Alfred' stand out from the crowd!